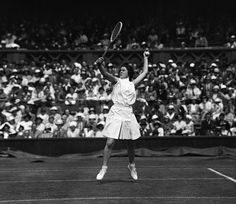 Below the article, we will discuss the origin of Tennis Scoring and Wimbledon Tournaments that occurred in the Victorian era. We will see how they affected the Victorian Society and influenced the sports system of the Victorian era. 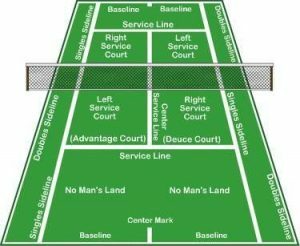 The tennis scoring system is a method used even today to keep track of tennis tournaments and pick up games (spontaneous games started by a group of players). They are arranged for singles and doubles. When one person scores 15, the first person to go is the server and the second one is the receiver. If both of them cross 15, the score is said to be tied and the next point is 30 and then 40. If there is still a tie, at score 40, it is called a ‘deuce’. From then, the other person has to make a score to win. And furthermore, the six of these games make a ‘set’. The set must be won twice by a player to win the game or else there is a tie. Tennis Scoring dates way back to the 15th century. It was a sport discovered in France and was called ‘jeu de paume’. The scoring system was based on the hands of the clock. A clock face was used on the court. The clock hand moves a quarter for each point. Back then, the third point was considered to be 45-0. But, in this concept, the last point would have to go beyond ’60’, the last minute on the clock. To change this inconvenience, they revised the 3rd point to 40. Therefore, the scoring system is 0- 15- 30- 40- and 60 which is ‘game’. Tennis is an old traditional game across Europe and now throughout the world and hence, the scoring system has been passed down from centuries. Wimbledon is a tennis event conducted in England. It is the most prestigious tournament and was first played in 1877 in Wimbledon, London. The first tournament was played between ‘Gentlemen’s Singles’ and ‘Spencer Gore’ who were a total of 22 men. The tournament was won by ‘Spencer Gore’. It is played on an olive green ground full of grass and before a number of people each day of the tournament. Nearly 30,000 people every day of the tournament. There was equal enthusiasm among the people 125 years ago as to what it is today. Since that time, it has always been hosted by the All England Lawn Tennis and Croquet Club during the time of June and July. 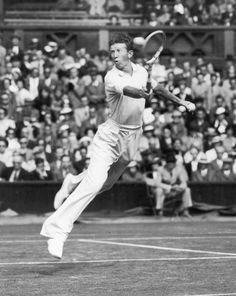 Wimbledon has always been played on grass which promotes the fastest tennis tournament as compared to Australian Open and US Open that is played on hard courts and the French Open that is played on clay. The crowd, in the beginning, was less as the population per square km was also less but the crowd began increasing considerably in the late 18th century. To be specific, it was the year of 1884. At the dawn of the tournament, women were not allowed to enter the tournament. However, that changed soon in the nineteenth century. Now, the championship also hosts the women doubles and singles matches. During the time of the World Wars, the first world war being in 1914, no matches were held during the years 1915 – 1918 and also from 1940 to the year 1945 on account of the second world war. The tournament of 1967, was the most significant. It had a large crowd and is marked as the first event ever to be telecasted on live color television. A replica of all the trophies from the year 1877 are preserved at the Wimbledon Museum. A trophy with an engraving of ‘All England Lawn Tennis Club Single Handed Champion of the World’ and the name of the winner is found at the bottom of the trophy along with the names of all the winners right from 1877. The pattern is similar for all the winners of the tournament. The women were handed with trophies in the beginning. In the beginning, the winners in the women’s tournament were given the ‘Rosewater Dish’. It was a sterling silver trophy. 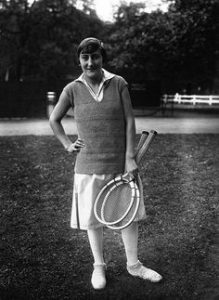 The white dress code is yet followed at the Wimbledon Tournament by the Royal Family and since it has been a tradition, it is not a compulsion but is still followed by the audience. The tradition of strawberry and cream being served at the tournament is still kept alive. Wimbledon Tournament is an attempt to bring the people of Great Britain together and to keep them united by means of sports. It is a matter of huge pride and dignity in all parts of England.